On April 10, 2014, people from around the world will unite in a singalong to commemorate the 50th anniversary of “It’s A Small World,” the Walt Disney classic attraction that opened at the 1964 New York World’s Fair.“It’s a Small World” was made for the New York World’s Fair, debuting April 22, 1964, before moving to Disneyland. It was built to pay tribute to UNICEF’s work for children around the world, carrying a message of peace and hope. 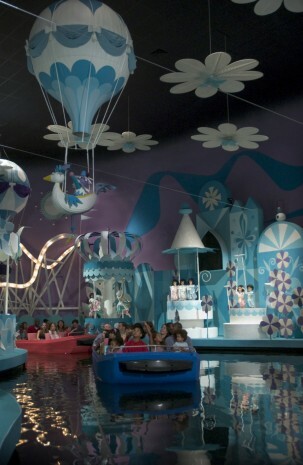 The ride features small dolls in international costumes singing “It’s a Small World” – a tune well known for sticking in people’s heads – in five different languages. Everybody in the world knows that song. It’s a song that we all have a love/hate relationship with. It brings a smile to peoples’ faces and holds a special place in all our hearts. 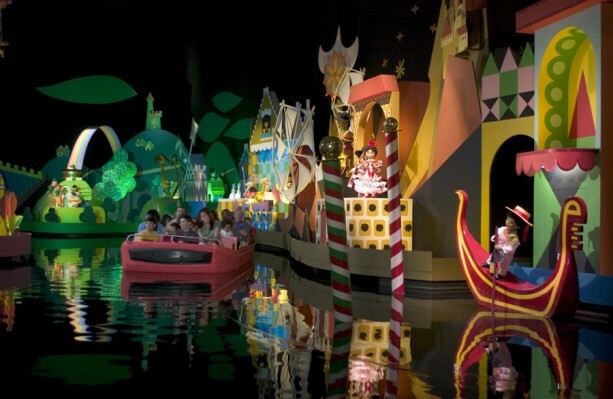 Since “It’s a Small World” can be found at five Disney parks on three continents (Disneyland park in California, Magic Kingdom Park in Florida, Tokyo Disneyland, Disneyland Paris and Hong Kong Disneyland) the iconic theme song is always playing somewhere around the world! The singalong is part of the 24-hour celebration of the attraction that will run in all five Disney resorts, as well as a recognition of the song itself. Richard Sherman, who co-wrote the tune with his brother, the late Robert Sherman, is expected to appear in Disneyland on April 10. You will notice the actual anniversary date falls on Earth Day, but Disney officials have chosen to focus on that instead on April 22. You are invited to join the celebration on April 10 as hundreds of voices from our parks around the world come together for a first-of-its-kind, online global sing-along! You can participate by recording and sharing an online video of yourself singing “It’s a Small World” on the global online hub SmallWorld50.com. 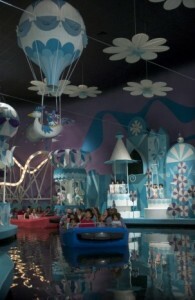 At the site, you can also create “virtual” “It’s a Small World” dolls to share with your friends. And, what really sweetens the deal? The Walt Disney Company will donate $150,000 to benefit UNICEF in honor of the 50th anniversary of “It’s a Small World,” plus $1 for every sing-along video recorded on SmallWorld50.com and another $1 for every virtual doll created on the website, up to $100,000. So, go share your online video at SmallWorld50.com today and help Disney spread the word of peace and hope with the world! Go ahead…you know the words! Tammy understands how busy our lives can be and how important our vacations with friends and family are. Vacations are a time to reconnect and make special memories with those we love; a time to let our worries dissolve into laughter and smiles. With her love and knowledge of Disney, Tammy guides her clients through all of the vacation planning steps with helpful advice and her complete attention to detail. Her clients can relax in her well organized care and enjoy every step of the process. As your personal travel pixie, Tammy will work closely with you to see that you and yours have a "funtastic" vacation perfectly suited to you! Whatever your dreams may be! Tammy's earliest Disney memory is lying on the floor, in front of the family television awaiting the opening music of "The Wonderful World of Disney." When Tinkerbell's wand filled the screen with pixie dust, Tammy always wished upon the star for a trip to the Magic Kingdom. She made that first magical trip in 1978 for graduation. 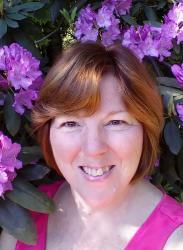 Since then, Tammy has traveled to the parks as a honeymooner, with toddlers, tweens, teens, young adults, friends, solo and most recently, as an empty nester with her husband. Ah, the circle of life! The natural progression of that lifelong love for all things Disney led her to become a Disney travel agent. Tammy is a proud graduate of the College of Disney Knowledge. She is also an industry trained travel agent with further training in both Universal Studios and SeaWorld Parks and Entertainment.